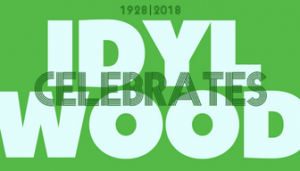 2018 marks Idylwood’s 90th Anniversary and we have some great things planned in celebration. Our main attraction will be our Tour of Homes, followed by our National Night Out Celebration in the Park. Grab your tickets while they last. Check out our 90th Anniversary microsite at https://90th.idylwood.org. There you can read more about the events and activities planned, purchase home tour tickets, tee shirts, and other 90th anniversary bling!